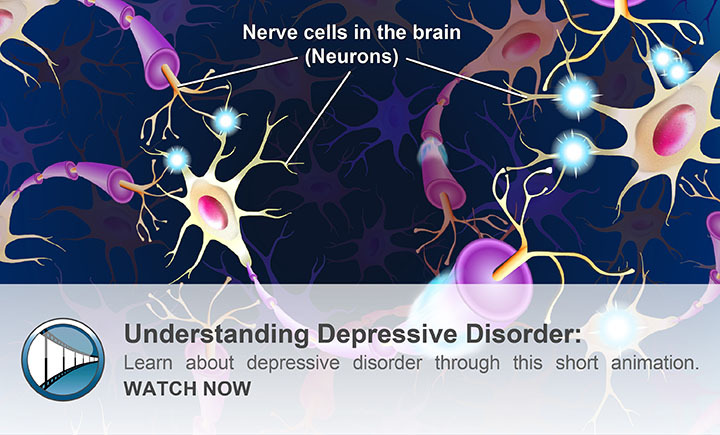 Learn more about Major Depressive Disorder (MDD). 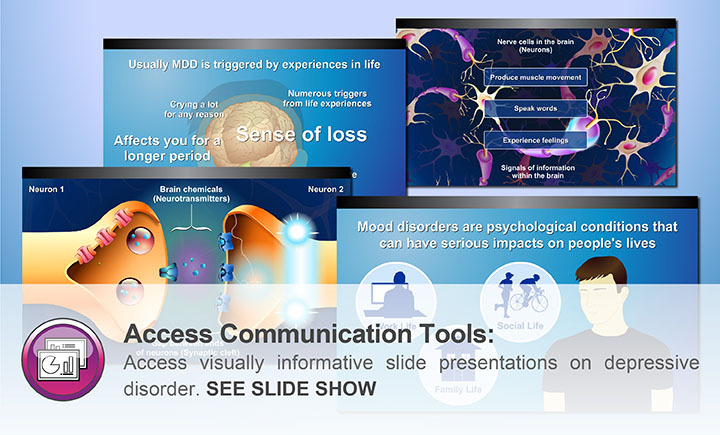 If you think you or someone you love may have questions about major depressive disorder (MDD), our experts can help you learn more about it through a series of helpful short videos and animations. This Animated Patient's Guide to Depression will help you understand what MDD is and how it differs from other kinds of depression. 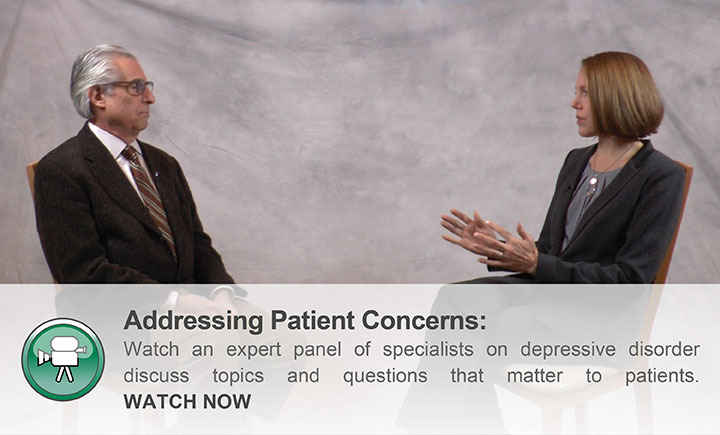 Videos will explain how doctors diagnose depression and what people can do to get better. We hope this site will be useful to you, but it is not a substitute for the medical advice of your doctor. If you have questions about MDD or feedback about this site, please let us know. If you think you may have MDD, please contact your healthcare provider. How well do you know MDD? Take this short pop quiz to find out!